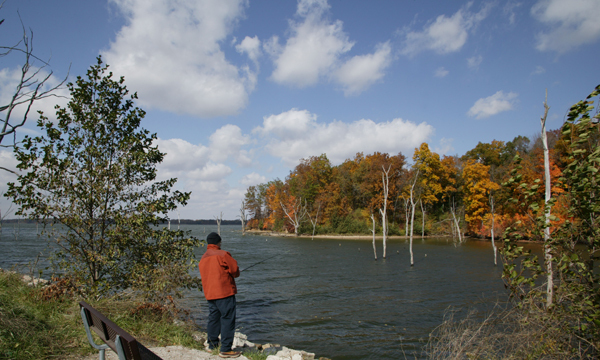 If you're looking for the ideal place to drop your line, enjoy a day on the boat, or a weekend camping, visit Clinton Lake State Recreation Area in east central Illinois. 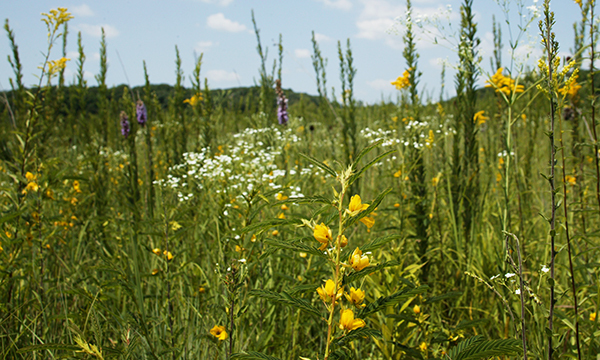 Recreational opportunities abound at the 9,300-acre site. 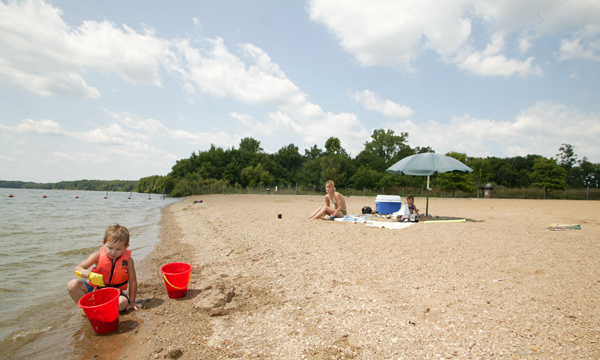 Clinton Lake is the cooling lake for the Exelon Power Station, and the IDNR manages recreation on the lake and surrounding lands. The 4,900-acre lake and outstanding fishing are the primary draws, with accessible boat launches at the Mascoutin and West Side Access Areas, a fishing pier at the Spillway Access Area, and bank fishing at Valley Mill. From crappie to catfish to bass and walleye -​ anglers love Clinton Lake. Clinton is a busy boating lake for motorboats big and small, and sail boating is also popular. A beautiful, 1,000-foot sand beach awaits swimmers and sunbathers, open Memorial Day weekend through Labor Day weekend. Hiking trails throughout the site and along the lake shoreline range from easy to moderate in difficulty. 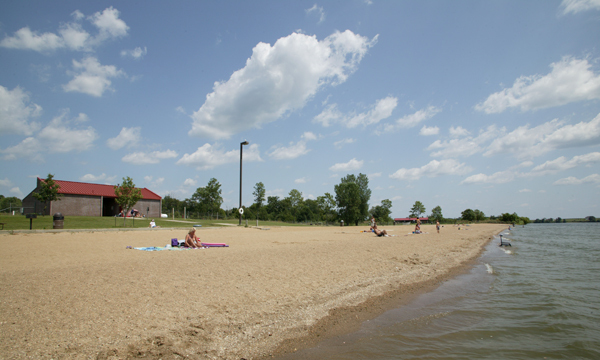 Picnic areas and playgrounds are found throughout the site, while campgrounds feature 17 Class AA campsites, 277 Class A campsites and 14 Class B/S campsites. Reservations can be made at www.reserveamerica.com. Clinton Lake SRA has more than 3,600 acres for rabbit, pheasant, squirrel, dove, archery and firearm deer hunting, as well special deer, pheasant, and waterfowl hunts for youth and hunters with disabilities. 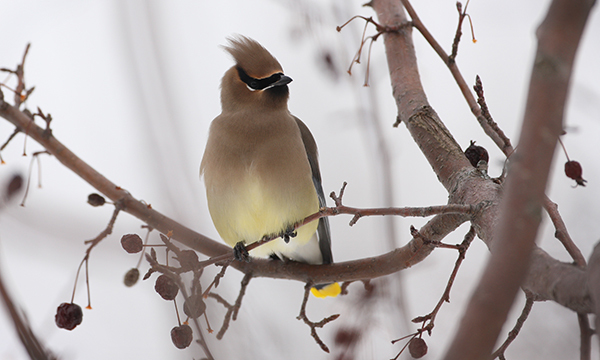 Waterfowl hunting is available by anchored boat blind on the main lake, and walk-in areas by temporary or site-constructed blinds and shore boats. Salt Creek Wetland Waterfowl Management Area is available through the Public Duck and Goose Hunting online lottery.